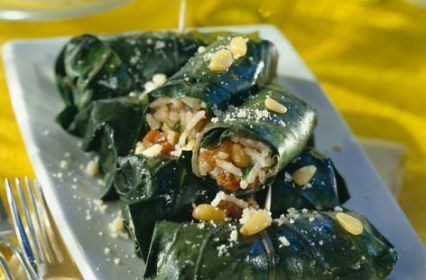 Tender Greek stuffed vine leaves. 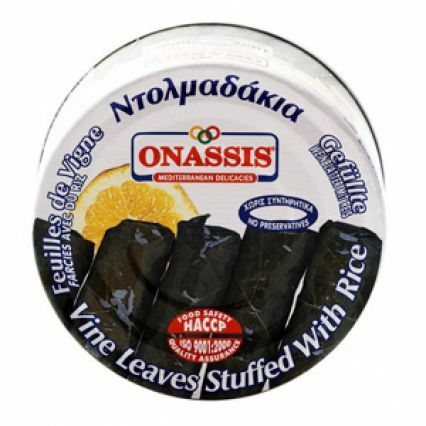 Tender vine leaves with a savoury rice and onion filling seasoned with herbs and spices. Delicious enjoyed as a light starter or mixed with other Greek mezes such as with hummous, olives and pitta bread. Long Grain Rice, Water, Young Vine Leaves, Vegetable Oil, Onions, Dill, Mint, Salt, Seasoning, citric acid.